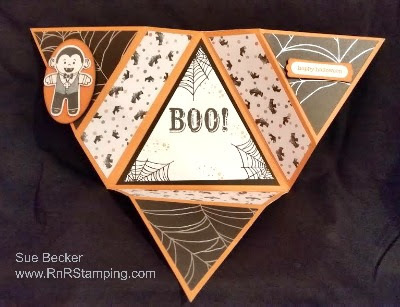 I chased away the ghouls and goblins and was able to upload my tutorial. I think the lesson here is that I need to do more video tutorials so my skill set improves. 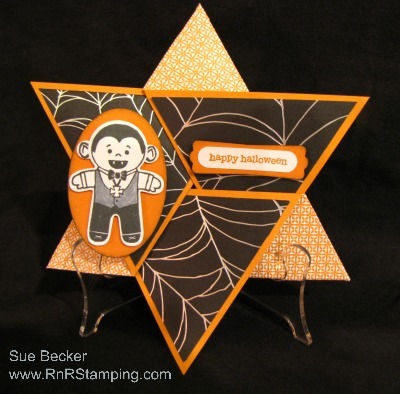 This is the star fold I featured in the last blog hop. So, are you ready to create this fold for your own project? Here we go! Comments? Questions? I welcome your feedback. Make your day a great one! So cool. Cannot believe how easy this sounds. Thank you so much for making this excellent tutorial. What size envelope is needed for the star? Thanks. I made an envelope using the Envelope Punch Board that measured 6" x 7".